The Best UK Law blogs from thousands of top UK Law blogs in our index using search and social metrics. Data will be refreshed once a week. 2.1 Legal Week - News and Insight on business law firms. 2.24 Legal Ombudsman | Dealing with complaints between consumers and their service provider. 2.31 Cripps | Business lawyers and solicitors for individuals & families. 2.33 Conflict of Laws.net | News and Views in Private International Law. 2.34 R Costings | Leagal costs Blog Featuring Articles from Leading Practioners. 2.37 Azrights | lawers for the Digital World. 2.47 Virtuoso Legal | Award-Winning Intellectual Property Law Firm. 2.51 Halsbury's Law Exchange - Shaping our legal future. 2.53 April King Legal - Jargon-free accessible legal advice for all. 2.64 Pink Tape | A Blog from the Family bar. 2.66 Legal Notebook | Benefits, Housing, Vulnerable People Guides and Legal updates. 2.75 BLB Family Law Solicitors. 2.79 LAG | Up to date comment and analysis on legal aid and access to justice issues. 2.81 Life Law NI | A Blog for life's legal challenges. UK Law newsletter is a comprehensive summary of the day's most important blog posts and news articles from the best UK Law websites on the web, and delivered to your email inbox each morning. To subscribe, simply provide us with your email address. 1. Legal Week - News and Insight on business law firms. London, UK About Blog Legal Week has been leading the way in providing expert journalism and analyst-grade content exclusively for commercial lawyers in the UK for over 15 years. Highly respected and trusted for the commentary and insight we give to the latest issues and developments in this competitive landscape. Facebook fans n/a. Twitter followers 78,271. London About Blog Top legal magazine and website with all the breaking stories plus online debate, features, blogs, analysis and legal job. Facebook fans n/a. Twitter followers 79,347. London About Blog Legal Cheek was founded in 2011. It has grown to become the UK’s leading news source for junior lawyers and law students, and has been described by The Sunday Times as “Popbitch for lawyers” and The Telegraph as an “irreverent, must-read tabloid law website”. Facebook fans 56,237. Twitter followers 33,811. London, UK About Blog The Law Society is the independent professional body for solicitors. We represent and support our members, promoting the highest professional standards and the rule of law. Facebook fans 11,223. Twitter followers 75,509. Facebook fans n/a. Twitter followers 7,541. London About Blog Legal Business is the market-leading glossy monthly magazine for the UK and global legal market. Published 10 times a year, the magazine reaches thousands of readers across the UK. Since its 1990 launch, Legal Business has always been a must-read publication – it constantly covers the key issues facing commercial law firms with more depth than any other title available in the market. Facebook fans n/a. Twitter followers 12,281. Facebook fans 977. Twitter followers 4,908. UK About Blog This blog was set up by Dan, Sara and Lyndon after a discussion on Twitter concerning inaccurate reports of criminal cases in the press, the lack of public understanding of the criminal justice system and the number of unlawful sentences handed out by the courts. Facebook fans n/a. Twitter followers 7,831. London About Blog LEAP UK is a global network of law enforcement figures who seek alternatives to failing, punitive drug laws.Our mission at LEAP is to reduce the multitude of unintended harmful consequences resulting from fighting the war on drugs and to lessen the incidence of death, disease, crime and addiction by ultimately ending drug prohibition. Facebook fans 8,015. Twitter followers 6,747. London, UK About Blog Practical Law is a legal solution from Thomson Reuters providing current awareness, legal know-how and documents to lawyers working in law firms and in-house. Practical Law Employment provides up-to-date and practical guidance on all aspects of employment law and practice. Facebook fans n/a. Twitter followers 11,358. Facebook fans n/a. Twitter followers 28,694. London About Blog Free Movement offers updates, commentary and advice on immigration and asylum law. Our mission is to make good quality and clear information available to all affected by immigration control: migrants themselves, their families, their lawyers and their judges. Immigration law has become very complex in the UK and changes very rapidly; we try to make it simple, or at least understandable. Facebook fans 4,654. Twitter followers 13,076. About Blog The site is run by Jon Robins. Jon is a journalist and has written about the law and justice for the national papers and specialist press for 15 years. Jon won the Bar Council’s legal reporter of the year award in 2015. Facebook fans 1,544. Twitter followers 13,994. United Kingdom About Blog Slater and Gordon is one of the UK’s largest law firms across a number of offices in England, Scotland & Wales. Our mission is to give people easier access to world class legal services. With over 90 years’ experience, our reputation is built on the range of expertise offered by our partners and staff on the scope of their practical experience. Facebook fans 10,728. Twitter followers 20,013. London About Blog At Rocket Lawyer, we want to change things by making legal services affordable, simple and available to more people than ever before. I’m proud to say that we’ve been able to build a service that millions of people rely upon. Every day we spend our time and resources making it easier for people to get the legal help they need, so they can focus on what’s really important. Facebook fans 3,236. Twitter followers 1,929. Russell Square, London About Blog This blog shares research and discussion from the Information Law and Policy Centre, based at the Institute of Advanced Legal Studies, which launched in spring 2015. The Centre is concerned with the law and policy of information and data, and explores the ways in which law both restricts and enables the sharing and dissemination of different types of information. London About Blog Fieldfisher is a European law firm with market leading practices in many of the world's most dynamic sectors. Clients choose to work with us because we deliver commercial, pragmatic and innovative solutions through our exceptional legal expertise and experience, on time and on budget. Facebook fans 405. Twitter followers 3,875. London About Blog The leading authority on UK tax practice, law and administration. Facebook fans n/a. Twitter followers 15,524. Facebook fans 3,993. Twitter followers 2,158. Norwich, England, UK About Blog Landlord Law Blog has Interesting articles, news and tips on residential landlord & tenant law and practice - in England & Wales UK. Facebook fans 2,682. Twitter followers 6,279. UK About Blog Upad is the UK’s largest online letting agency: rapidly growing and disrupting the traditional high street letting agent model. Our mission is Empowering Landlords to take control of their property. Get Tips, advice and updates for Landlords from the UK's most progressive lettings specialist. Facebook fans 4,197. Twitter followers 8,187. UK About Blog The aim of Critical Legal Thinking (CLT) is to provide a platform for critical legal scholars and allied thinkers to publish theoretically informed comment and analysis on current events. A blog dedicated to the radical critique of law and politics. Facebook fans 11,082. Twitter followers 3,021. 24. Legal Ombudsman | Dealing with complaints between consumers and their service provider. England and Wales About Blog The Legal Ombudsman for England and Wales was set up by the Office for Legal Complaints (our Board) under the Legal Services Act 2007. We are independent and impartial. This means that when we receive complaints, we will look at the facts in each case and weigh-up both sides of the story. Facebook fans 178. Twitter followers 10,692. London, Aberdeen, Cambridge About Blog Davidson Morris is a modern legal services provider that specializes in providing high quality immigration legal advice to both businesses and individuals. We address the specific objectives of each client through our leading immigration knowledge and technical expertise and we provide a personalised experience founded on our strong team ethic. Facebook fans 326. Twitter followers 2,046. City of London About Blog I am Philip Landau an employment lawyer. I have my own practice (Landau Law, Solicitors ) which is based in the City of London. I act mainly for employees including a large number of senior executives. I have regularly been on BBC TV, ITV and local radio as an employment law expert. I also write for The Guardian on employment law related issues. Facebook fans 189. Twitter followers 428. Facebook fans n/a. Twitter followers 4,023. Scotland, UK About Blog Commercial insight, industry focus, international perspective - news and views from Scotland's leading lawyers. Brodies LLP offers clients the largest specialist legal resource in Scotland. The firm has 21 separate practice areas which are top-ranked by independent international legal directories, and has won numerous industry awards. Facebook fans 644. Twitter followers 5,813. London About Blog The ICLR is a legal charity that was set up in 1865. We publish law reports of the judicial decisions of the Superior and Appellate Courts in England and Wales. Facebook fans 1,471. Twitter followers 6,962. London About Blog Lexoo is an online platform for businesses, that lets you easily source and compare quotes from specialised commercial lawyers, handpicked to suit your needs. We are not a law firm ourselves, but our team combine over 45 years of legal experience to ensure you only receive quotes from the most suitable lawyers. Facebook fans 330. Twitter followers 1,279. 31. Cripps | Business lawyers and solicitors for individuals & families. United Kingdom About Blog Business, corporate and personal legal services. Experts in commercial property, corporate transactions, will and estate disputes, family law & more. Unusually for a law firm, our skills and experience give us a unique ability to help you in any aspect of your private or business life. Facebook fans 160. Twitter followers 1,252. United Kingdom About Blog We are a full service law firm and leading sector specialists. Our combination of expertise, genuine teamwork and client commitment sets us apart, and that's why we're confident that we can deliver the best and most effective legal solutions to help you succeed. Facebook fans 227. Twitter followers 1,378. 33. Conflict of Laws.net | News and Views in Private International Law. About Blog The world’s foremost website on the conflict of laws, updated by a team of legal academics and lawyers from all major jurisdictions. 34. R Costings | Leagal costs Blog Featuring Articles from Leading Practioners. St. Ives, Cambridgeshire, UK About Blog Law Costs Blog covering all things Legal Costs including CPR, Costs Budgeting, Bill of Costs, Points of Dispute & Reply, Claim Forms, Personal Injury Law. Facebook fans n/a. Twitter followers 321. Brighton About Blog Mayo Wynne Baxter is one of only a small number of law firms in England and Wales who have been awarded Lexcel accreditation.Mayo Wynne Baxter is a leading legal practice in the South East, employing over 230 staff across our nine offices. We provide a comprehensive and personal service to a broad spectrum of local and national clients. Facebook fans 1,932. Twitter followers 2,598. Sheffield About Blog Taylor&Emmet LLP is one of the leading and most successful law firms in the South Yorkshire and Derbyshire region, a position it has held for nearly 150 years. This success has been achieved by delivering the highest quality legal advice to business and private clients, many of whom have remained with the firm for generations. Facebook fans 151. Twitter followers 421. 37. Azrights | lawers for the Digital World. London, Islington. UK About Blog Azrights is an IP consultancy offering the A to Z of intellectual property rights services, hence the name. Our sister business, Azrights solicitors provides litigation support. To grow and protect your market position, you need strategic IP advice as you don’t know what you don’t know. We cover every area of IP your business needs. Facebook fans 284. Twitter followers 5,141. London, UK About Blog Robert Hazell founded the Unit initially to conduct detailed research and planning on constitutional reform in the UK. We continue to fulfil that remit, but also assess the effects of reforms that have taken place, and research constitutional and political arrangements beyond the UK. Facebook fans 788. Twitter followers 6,823. Northern Ireland About Blog Housing Rights works to improve lives by tackling homelessness and housing problems in Northern Ireland. Our values are Confidentiality, Co-operation, Equality, Independence, Quality and Respect. Our impact report shows how we have performed in the last year and the impact our work has had. Facebook fans 3,165. Twitter followers 2,515. 35 Peter Street Manchester About Blog A Manchester law firm with a national reputation; berg is the go to partner for modern business. We pride ourselves on being the imaginative law firm, providing innovative solutions and real-world advice. We have a strong team of commercial legal experts that take time to understand you and your business and champion common sense and fair play. Facebook fans 50. Twitter followers 2,793. About Blog The Global Supply Chain Law Blog discusses legal supply chain issues that often lead to litigation in the supply chain across industries. We discuss current cases, important nuances in the law that can affect supply chain relationships, and ways to make supply chain legal practices more robust, particularly in light of today’s global supply chains. Facebook fans 2,115. Twitter followers 9,091. London, W1H 7AL, UK About Blog Started by Roger Gherson in 1988, Gherson is an award winning, specialist UK immigration, nationality, extradition and human rights law firm based in London. With over 29 years of experience, Gherson's expertise extends from meeting the migration needs of international business people and those of UK-based companies to litigation in all UK jurisdictions. Facebook fans 213. Twitter followers 2,577. UK About Blog Founded by George Bisnought in 2009, Excello Law is an innovative, new-model commercial law firm which has pioneered a step-change in the delivery of legal services, providing a more dynamic and independent environment in which to practise for senior lawyers, and meeting client demands for greater quality and value. Facebook fans 47. Twitter followers 1,325. Glasgow & Edinburgh About Blog McGill & Co is a law firm with offices in Glasgow & Edinburgh specialising in all aspects of Immigration, Nationality & Refugee Law. They offer a unique team of Scottish Solicitors and experienced Immigration specialists to ensure that their clients receive the best attention. They are a professional team working for you. Facebook fans 319. Twitter followers 1,658. London About Blog Grayfords is a leading boutique law firm based in Fitzrovia, London. Our solicitors are experts in English and International Family Law and specialise in all matters regarding divorce, marriage and child matters. Facebook fans 72. Twitter followers 205. London About Blog Claims Media is an online community for professionals operating in the UK’s claims sector. We work to promote best practice across the industry and provide a platform for lawyers, insurers, claims management companies, alternative business structures, rehab providers, medical agencies and other service providers from which they can share ideas and win new clients. Facebook fans 1,643. Twitter followers 2,729. 47. Virtuoso Legal | Award-Winning Intellectual Property Law Firm. Leeds/London About Blog Virtuoso Legal are a world-class Intellectual Property law firm. Our expert solicitors are experienced in all forms of intellectual property law. We have represented clients big and small, internationally and locally – for the past 10 years and we are renowned for our service. Facebook fans 269. Twitter followers 734. United Kingdom About Blog This blog is written to provide readers with news, case analysis and commentary on immigration, asylum and nationality law. It should never be read for the purposes of taking legal advice. 2 Middle Temple Lane, London About Blog LEXLAW is a leading City of London Law Firm. We are a multidisciplinary legal practice partnering exceptional London Solicitors and London Barristers to whom results matter. Facebook fans 338. Twitter followers 2,022. City of London, London About Blog A City Law Firm are your local London solicitors based in the heart of the City of London EC2A. We act for clients throughout London and the UK, as well as many overseas entities. We are all about customer service, because, to us, our clients are much more than mere numbers. We will ensure that you receive a high level of service which is personalised to your particular legal need. Facebook fans 182. Twitter followers 218. 51. Halsbury's Law Exchange - Shaping our legal future. London, England About Blog Halsbury’s Law Exchange is a legal think tank, hosted by LexisNexis. It aims to communicate ideas on reform or legal direction to decision makers and the legal sector and promote debate through papers, reports, events and media pieces. Our mission is to support the rule of law in the United Kingdom by promoting an effective legal framework and stimulating public debate on major issues’. Facebook fans 1,846. Twitter followers 3,164. About Blog Free legal news and opinions regarding the law, legal publishing and law firms from the Asia Pacific region. 53. April King Legal - Jargon-free accessible legal advice for all. HQ Nottingham About Blog At April King we pride ourselves on being a very modern and approachable Legal Services Group. Our dedicated teams are specialists in their particular field, whether it is our TEPs for our Estate and Trust work or any one of our growing panel of Independent Legal Executives, Solicitors, Conveyancers, Mediators and Barristers. We all work together to provide you with first class legal advice. Facebook fans 95. Twitter followers 452. 4 Middle Temple Lane, London About Blog LEXLAW is a leading City of London Law Firm. We are a multidisciplinary legal practice partnering exceptional London Solicitors and London Barristers to whom results matter. Read Latest legal news, updates, articles and tweets from leading City of London Law Firm, LEXLAW. Facebook fans 337. Twitter followers 2,177. Cornwall and Devon About Blog Coodes LLP is recognised as one of the leading law firms in Cornwall and Devon and the longest established firm in the region. We provide legal advice across the entire spectrum of business and personal needs, delivered by highly-experienced lawyers, organised according to the needs of our clients. We are open, honest and direct. Facebook fans 516. Twitter followers 2,853. London About Blog Barrister and former government lawyer Carl Gardner writes about constitutional and public law, EU law and human rights. I’m a barrister, and worked as a government lawyer for twelve years, advising ministers and government departments on a wide range of public law issues from tax to terrorism, from freedom of information to pensions, from discrimination to health and from defence to broadcasting. Facebook fans n/a. Twitter followers 20,333. London About Blog Monckton Chambers is a leading set of barristers’ chambers, based in London. We practise across a wide range of commercial and civil law, with a particular focus on EU, competition, VAT, other indirect taxes and public & administrative law. We are recognised as market leaders in specialist advocacy, advisory and dispute-resolution services. Facebook fans 971. Twitter followers 1,221. About Blog The blog is updated by both authors with updates to the book, as case-law develops and legislation changes. It also includes general advice, which expands on the book. Much of the material appearing on this blog is drawn from the day-to-day queries raised, and difficulties experienced, by volunteers at the Free Representation Unit. Lincolnshire & Nottinghamshire About Blog At Ringrose Law Solicitors our philosophy is ‘where individuals count’. Whether you are moving home, making a Will, involved in court proceedings or whatever your legal need, we are committed to delivering the best outcomes for our clients. Our service offerings include; family, divorce, childcare, employment law, personal injury, medical negligence, house buying/selling, litigation etc. Facebook fans 725. Twitter followers 2,204. Brighton, UK About Blog TechnoLlama blog covers several Cyberlaw topics, with emphasis on open licensing, digital rights, software protection, virtual worlds, and llamas. While the blog tackles these issues in a light-hearted and nonchalant manner, some serious points filter through from time to time. The author, Dr Andres Guadamuz is a Senior Lecturer in Intellectual Property Law at the University of Sussex. Facebook fans 259. Twitter followers 3,366. London, England About Blog Serjeants’ Inn is rated by the independent legal directory Chambers & Partners as one of the best police law teams in the UK. We act for most forces around the country together with a number of PCCs and other police bodies, including the College of Policing, handling nearly 2,000 police law matters over the last three years. London, St Albans, Worldwide About Blog Leading UK solicitors servicing St Albans and London. Sherrards provides professional legal services to businesses and private clients at home and abroad. Facebook fans 48. Twitter followers 1,075. 64. Pink Tape | A Blog from the Family bar. Bristol About Blog Pink Tape is written by Lucy Reed, a family law barrister. In this blog you will see me identified as ‘Familoo’ I have been at the family bar for over a decade and am still amazed at how little most people understand about the work that I do and what goes on inside the Family Courts. Facebook fans 464. Twitter followers 10,106. London About Blog The experience, quality and commitment of our lawyers makes our service one of the best available. We have a team of experienced and talented in-house advocates who have practised at the highest levels. Our clients avoid the fees of paying a separate solicitor and barrister. Facebook fans n/a. Twitter followers 6,215. 66. Legal Notebook | Benefits, Housing, Vulnerable People Guides and Legal updates. London About Blog We are a small group of solicitors, barristers, trainees who work in varied areas of law. The purpose of this site is to provide commentary on cases, developments, news and guides in the ever changing arena of law. With the loss of legal aid and strain on volunteers we understand how useful guides and precedents are and we shall try and keep providing both clients, volunteers and organisations. Facebook fans 57. Twitter followers 268. About Blog Authored by Hogan Lovells, Keeping It Real Estate covers trends in UK real estate, disputes & planning law for landlords, banks, developers, & retailers. London and Home Counties About Blog Lawyer In The Making is my blog which I started at the very end of December 2012. It started as a WordPress, but after growing in popularity very quickly I made the decision to make it a little more professional and so Lawyer In The Making was created. I really hope to use the tools and knowledge I have picked up from these, as well as legal events and advocacy training to help some of you! Facebook fans 244. Twitter followers 3,573. About Blog I'm John Bolch. I started writing Family Lore in January 2006, which I believe makes it the first family law blog in this country. For the twenty-four years I worked almost exclusively in family law, dealing primarily with divorce, ancillary relief (financial/property settlements on divorce), private law children matters and cohabitee disputes. Facebook fans n/a. Twitter followers 2,128. About Blog The author of Usefully Employed is Joe Neville, an employment law barrister and former solicitor based in the East Midlands. The point of this blog is to help spread employment law information and views in a way that’s not as ‘corporate’ as the big firms’ newsletters, but has more legal bones for you to pick at than reports in the mainstream media. South West, England About Blog Specialist no win no fee Employment Solicitors working throughout the UK giving employment law advice in all areas including unfair dismissal compensation. Facebook fans 23. Twitter followers 15. London. About Blog LAPG will present well taken objections to the reform package, based on the impact of the reforms on the interests of clients, sound economic argument and the public interest. To ensure that our arguments have maximum impact, it is vital that we represent as large a proportion of the legal aid profession as possible. Facebook fans 186. Twitter followers 2,817. UK About Blog His site's primary focus is the UK but interesting items from other jurisdictions are often included as are developments in the allied disciplines of capital market regulation and financial reporting. London, UK About Blog Graham Smith's blog on law, IT, the Internet and new media. He is one of the UK’s leading cyberlaw experts, with a practice encompassing advisory and contentious work in the internet, IT and intellectual property fields. Facebook fans n/a. Twitter followers 2,424. 75. BLB Family Law Solicitors. Bath, UK About Blog BLB Solicitors is a leading regional law firm. At BLB Solicitors, we understand that divorce and separation can be a difficult time for all concerned. Our Family Team will work with you to provide advice on all aspects of this specialist and sensitive area of the law, including: Divorce and Separation Dividing finances on divorce – including properties, businesses, pensions and many more. Facebook fans 223. Twitter followers 517. Northern England About Blog The blog of ObiterJ has responsible and sometimes critical comment on legal matters of general interest. This blog does not offer legal advice and should not be used as a substitute for professional legal advice. 'The life of the law has not been logic; it has been experience. Facebook fans n/a. Twitter followers 4,250. Lincolnshire About Blog Founded in 2002, PJH Law is a Stamford based Employment Solicitors that represents employees and employers both locally and nationally. We advise on a variety of issues including Employment Tribunals, disciplinary procedures, unfair and constructive dismissals, discrimination issues, settlement agreements, whistle-blowing, redundancy and shareholder agreements. Facebook fans 77. Twitter followers 610. Northern Ireland About Blog Mark has been advising on employment law since 2004. He qualified as a Solicitor in 2006 and worked in private practice until moving into employment law consultancy in 2010. Mark established his own consultancy practice in 2012. We provide employment law and human resources services to businesses, charities and other organisations. Facebook fans 169. Twitter followers 111. 79. LAG | Up to date comment and analysis on legal aid and access to justice issues. London, UK About Blog Legal Action Group promotes equal access to justice as a fundamental democratic right. LAG works with lawyers and advisers to improve standards and knowledge of social welfare, family and criminal law among practitioners, by publishing legal handbooks and its monthly magazine, Legal Action, and by providing training and events for lawyers and advisers. Facebook fans 613. Twitter followers 17,004. London About Blog I am a practising Barrister at No 5 Chambers. I undertake a broad range of contentious work both in court and in an advisory capacity. My practice ranges from dealing with contractual disputes to personal and corporate insolvency, from issues concerning the landlord and tenant relationship to issues of real property such as boundary disputes and claims to interests in and over land. 81. Life Law NI | A Blog for life's legal challenges. Belfast, Northern Ireland About Blog We are experienced legal practitioners who work in the Belfast based firm of Francis Hanna & Co Solicitors. We aim to provide both information and a forum for discussion on all legal matters surrounding family life, from the cradle to the grave. In our blog, we try wherever possible to avoid legal jargon to help you understand the law which affects all our lives. Facebook fans n/a. Twitter followers 645. Birmingham About Blog The Community Law Partnership (CLP) is a radical, progressive firm of solicitors specialising in the law relating to Housing and Public Law. We aim to provide quality legal services to the most vulnerable and disadvantaged sections of society who, without our assistance, would be denied access to the legal system and to their rights. Facebook fans 191. Twitter followers 279. North London & Herts About Blog A property law blog from real estate lawyers at national law firm Mills & Reeve. Find regular updates and commentary on the latest legal news in real estate. Facebook fans n/a. Twitter followers 1,368. Cheshire, Manchester, London About Blog Louise Halford and Robin Charrot set up Evolve Family Law in 2015. They both have many years of city centre family legal experience in large commercial firms and wanted to offer an alternative: solicitors who listen and guide, who are not hide bound by big firm procedures, who are approachable and accessible and who are specialist enough to know the law and their stuff but aren’t divorce divas. Facebook fans 152. Twitter followers 288. Glasgow, Scotland About Blog I am a lawyer, consultant, non-exec and trusted adviser to well-known law and professional firms throughout the UK. I work with them shoulder-to-shoulder to deliver the insight, guidance and hands-on practical help that will achieve their ambitions. My practice reflects my career as a successful legal entrepreneur during a time of unprecedented change. UK About Blog Centre or Criminal Appeals Blog proves peoples innocence and righting injustices suffered by women and also fighting for open justice and accountability. Facebook fans n/a. Twitter followers 1,285. Facebook fans 397. Twitter followers 3,013. 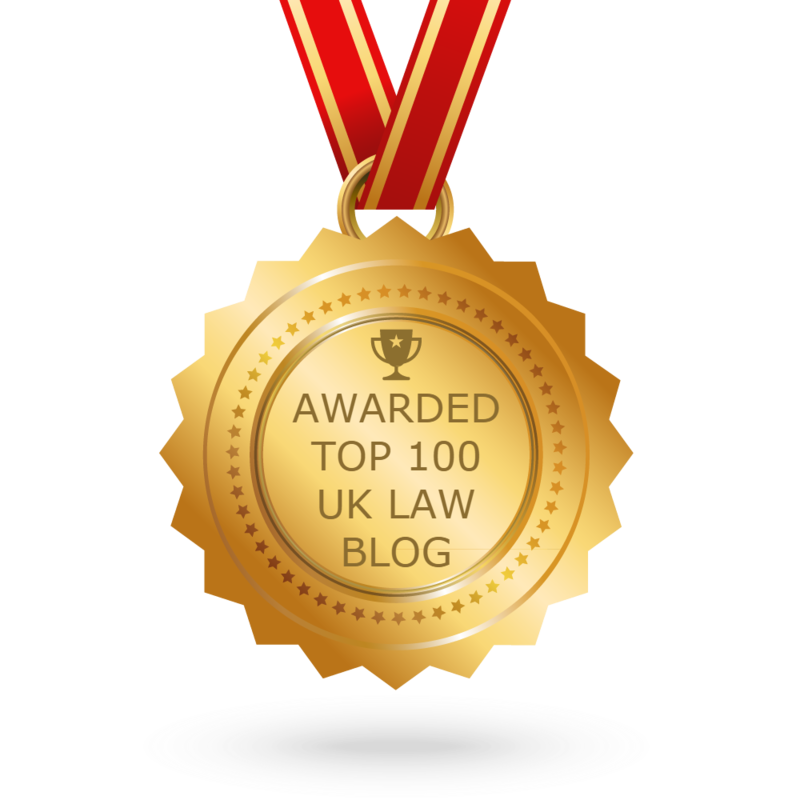 CONGRATULATIONS to every blogger that has made this Top UK Law Blogs list! This is the most comprehensive list of best UK Law blogs on the internet and I’m honoured to have you as part of this! I personally give you a high-five and want to thank you for your contribution to this world.